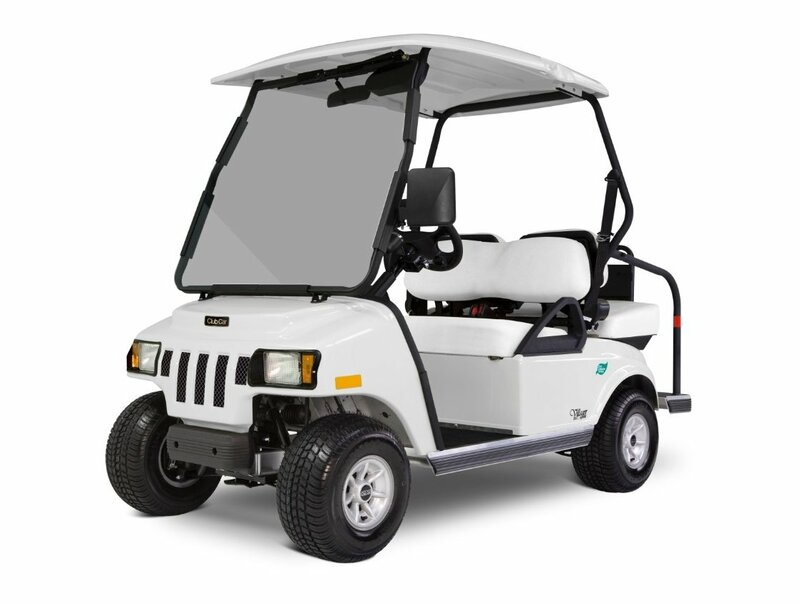 Club Car electric golf carts are one of the top three golf carts that run on deep cycle batteries rather than gas. The batteries are recharged after each use with an electric battery charger - which means it is a zero emissions vehicle. The company is based in Augusta, Georgia home of the Masters Golf Tournament and was purchased by the industrial firm Ingersoll Rand in 1995. 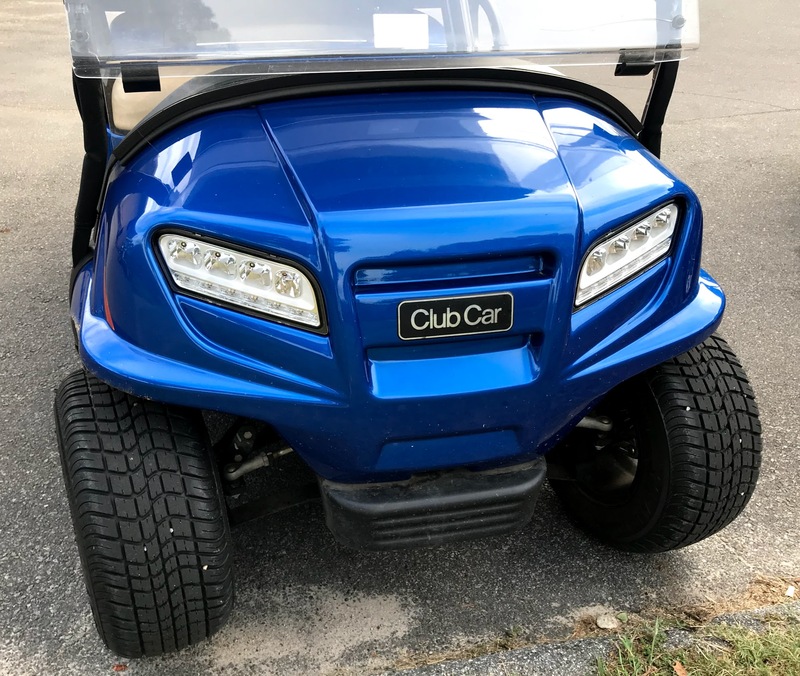 As an owner of Club Car electric golf carts for almost 20 years it is my first choice whenever we are replacing or upgrading our golf cart. Perhaps you are in a position like my friend who just moved to the golf cart community the Villages in Florida - and wondering if you should go gas or electric. Electric offers the advantages of a quiet peaceful ride without having to sacrifice distance or power. It is less expensive to run than gas and there is less maintenance. Named after it's designer Dom Saporito and was introduced in the late 1980's. You can tell which model it is by the front design. 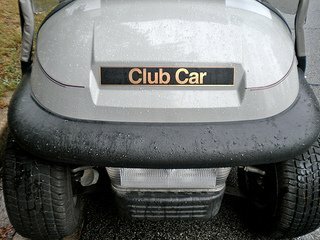 The picture below is of a 2008 Club Car DS. After five years of research the new Precedent model became available in January 2004. 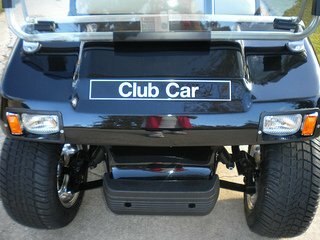 The rounded front cowel was a big design change for Club Car. It uses six 8 volt batteries for a total of 48 volts. The Precedent Stretch Kit is a new way to add seats. Rather than rear facing seats, this dealer-installed kit adds two forwarding-facing seats. Built on an aluminum frame, AlumiCore, rather than steel, provides the benefit of being rustproof, even in salt air. Club reports that this frame is more impact resistant and enhances the stability of the ride. 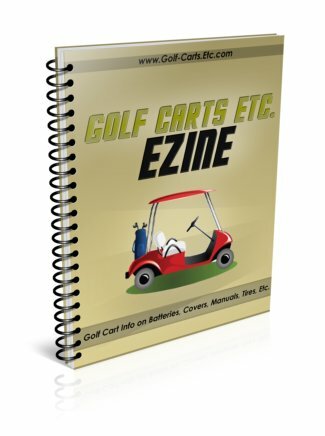 The newest cart introduced on Earth Day in 2010 is a Low Speed Vehicle (LSV). This electric vehicle meets federal regulations that allow the vehicle to be driven on public roads with speed limts of 35 mph or less. 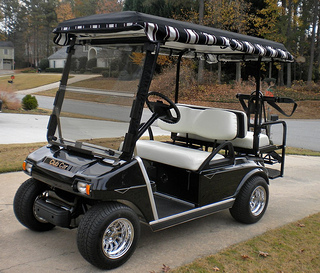 All of the Club Cars are available as 2 or 4 passenger vehicles and feature an all aluminum rust proof frame. These models come in gas or electric and are great for more rugged terrain - use them hunting, camping or at the beach.